cool! I dont think I've ever seen this type of braiding. Thanks for sharing. Take care. 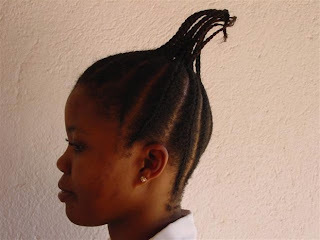 This updo braided style is called Bonsway (Sp?) In my country Liberia, W. Africa. wow Jenelle!! That is pretty cool!